Languages fascinate me: the differences in their grammar, the way they change over time, the nuances and complexity of them. I speak and read three, know snippets of many more, and even write informally in a couple of them, but English—in all its glorious craziness—is, for better or worse, my first and foremost, my birthright. So when I stumbled across Bill Bryson’s The Mother Tongue: English and How It Got That Way on sale for Kindle at $1.99 (it still is, by the way, although I don’t know for how long), my perennial if ever-shaky resolution to keep my book budget under control took another hit. Indeed, the book is a gem. More anecdotal than scholarly, full of the kind of declarations that make academics sharpen their pens to point out the many instances that don’t fit the generalizations, but for those very reasons a huge amount of fun. It’s true that I knew most of the big points already, but that didn’t interfere with my enjoyment one bit. Some snippets of information were truer than I might have imagined: that English has a huge vocabulary I knew; that the revised Oxford English Dictionary lists 615,000 words, which don’t include many technical and scientific terms, was a higher total than I would have guessed. Other arguments I disagree with: English grammar is complex and its spelling simple? Tell that to the student facing an exam in Russian. When I began taking Russian in high school, people assumed the alphabet would be difficult to learn. But the alphabet is a snap: many of the letters look like Latin or Greek; the handful that don’t are easily memorized; and the whole thing is phonetic, with a few minor and regular variations. Figuring out where the accent falls is a bit of a challenge, since English speakers rarely get it right: it’s Ba-REES, not BO-ris; Vlad-EE-mir, not VLAD-imir; Ee-VAN, not EYE-van, and so on. But the sounds are right there in front of you, ready to speak. The grammar, though, makes English look like a walk in the park (this may be in part because as a native, I have trouble explaining the difference between a pluperfect and a subjunctive, but I instinctively know when to use articles and the difference between “I went” and “I was going”). Three genders, assigned more or less arbitrarily; six cases, which have clear uses but many not so clear; two forms for every verb, including sixteen verbs of motion, used in ways that at times seem to be quite opposite to their English counterparts; and, in addition to singular and plural, relics of the old dual number, now sometimes confusingly extended to three and four, where it appears to be either an irregular plural or genitive singular, although it is nothing of the kind—next to all that, the difference between “I go to the bank on Tuesdays” and “I am going to the bank right now” pales by comparison. English spelling and pronunciation, in contrast, routinely trip up people who have gone through the entire public school system, college, and even graduate school. They trip up editors, as I discovered when I took Bryson’s “test.” They trip up computers, which can’t tell the difference between their, there, and they’re, never mind which belongs where in “They’re going to take their car there.” Certainly, Welsh and Irish (any of their Celtic cousins, in fact) look more confusing still, but that doesn’t make English spelling or pronunciation easy to master. But enough quibbles. 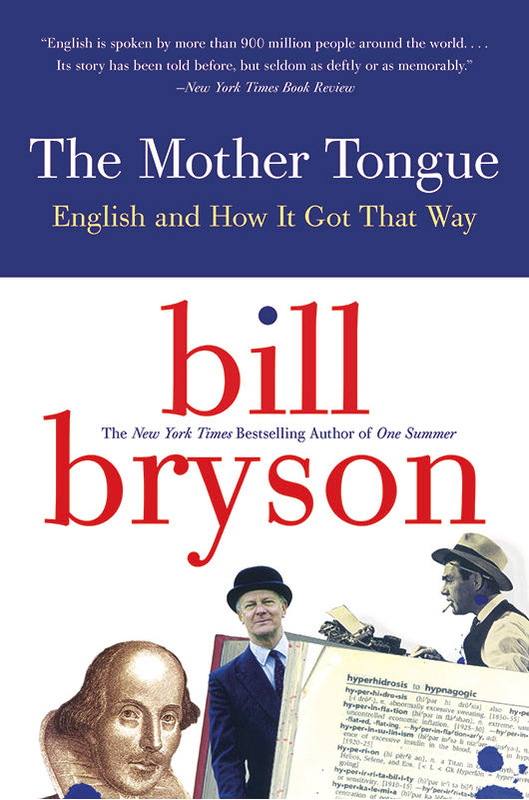 Whether you agree with every sentence or not, Bryson’s book is a wonderfully written exploration of our free-wheeling mother tongue—its origins, its development, its place in the modern world (and the forms it is evolving into), and its tendency, as the cliché goes, to lurk in dark alleys, where it assaults other languages and rifles their pockets for loose words. On another note, most of the Five Directions Press authors are taking part in an Independents’ Day Book Fair on July 2, 2015. More on that next week. Meanwhile, you can find the full information at our website. We’ll be selling books at a discount and will autograph them on the spot if you request. We will also have free bookmarks as mementos. If you’re in the area, stop by and say hello! I have to admit: I’m a sucker for a good adventure romance, especially if it has history thrown in. Some near-universal favorites don’t sweep me up—for example, I loved the film of Tinker, Tailor, Soldier, Spy but have never managed to get into the book, despite repeated attempts. It has to be me, not LeCarré, but that changes nothing. Give me The Scarlet Pimpernel, though—Baroness Orczy’s purple prose and love for “tell, don’t show” notwithstanding—and I gobble it down like artisanal chocolate, no matter how many times I have read it before. 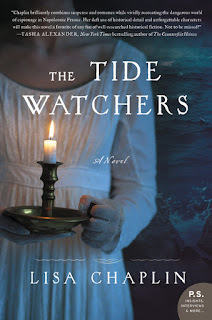 So you can imagine my delight when, during a magical media lunch in New York a month ago, I learned from Lisa Chaplin, author of The Tide Watchers, that there really was a British spy in the era of the French Revolution who went by the code name the Scarlet Pimpernel. Where Orczy learned of him (if she did), I have no idea. It seems too big a coincidence that she made the name up—let’s face it, can you imagine a goofier code name for a secret agent?—if a real person with that moniker existed. But I had never heard before that the ineffable Sir Percy might have a real-life counterpart. And if he did, that counterpart almost certainly belonged to the nobility, since most of the high-level espionage agents at the time came from that class. Lisa and I don’t talk about the Scarlet Pimpernel specifically in this month’s interview for New Books in Historical Fiction. But we do talk about female spies, a real-life would-be assassin popularly known as the Mad Baron, Robert Fulton’s bizarre love life, the fun of research (and speculation), and the path from contemporary romance to contemporary espionage to the romance of the spy in Napoleonic Europe. So listen in; I’m sure you won’t be disappointed. From World War I, we jump back more than a hundred years and across an ocean. Napoleon, still First Consul, has convinced the surrounding nations to accept a series of treaties that he violates as it suits him. Great Britain, weary of war, clings to the Treaty of Amiens, determined to play the ostrich even as evidence mounts that Napoleon is massing an invasion fleet on the northern coast of France. What are the alternatives? In 1802, the Battle of Trafalgar has not yet happened. Half the renowned British fleet is in mothballs, the other half dispersed to distant lands. And no one knows (or wants to know) where Bonaparte will strike next: Egypt, the Caribbean, the Channel Islands, Cornwall. Any target is as plausible as any other, or so the Parliament and the lords of Whitehall insist. Amid the confusion, a small group of British spies, the King’s Men, works to gain what intelligence it can on Bonaparte’s movements. Talk of assassination plots mingle with rumors of troop deployments and underwater boats capable of launching carcasses (bombs) and torpedoes to destroy the Royal Navy before its officers know what has happened to them. And smack in the middle of the plot is Elizabeth Sunderland, daughter of a King’s Man, who realizes too late the wolf hidden behind the charming face that wooed her away from her family. Lisbeth wants her son, her estranged husband wants revenge, the King’s Men want information, and the American inventor Robert Fulton wants only to be left in peace to pursue his research into submarines. In The Tide Watchers (William Morrow, 2015), Lisa Chaplin masterfully weaves these warring desires into a fast-paced story that will keep you riveted in your seat as the pages turn. As noted in various places, this was my first-ever free promotion. I ran a countdown deal in December 2014, also on these two books (the only ones enrolled in KDP Select, the exclusive-to-Amazon distribution program), with dismal results. And back in 2012, I ran a straight half-price reduction sale on my then two books, The Not Exactly Scarlet Pimpernel and The Golden Lynx, with a slightly better outcome. But I had never tried free, in part because the deluge of free content available on the Internet worries me. Art of all sorts takes time and effort and training to produce, then edit into something worthwhile. Creators deserve recompense for that investment of passion and attention. Still, I was curious what would happen, and a week later I can report three findings. 1. People still download free books. This point seems obvious, but I wasn’t sure it would pan out. First, modern users are saturated with free content. Second, these books have been free to Kindle users for a while, through the Prime and Unlimited subscriptions; they do get borrowed, but not so often that I felt certain that people would download them. But they did: 71 copies of Desert Flower and 67 of Kingdom of the Shades during the 48 hours of the sale. 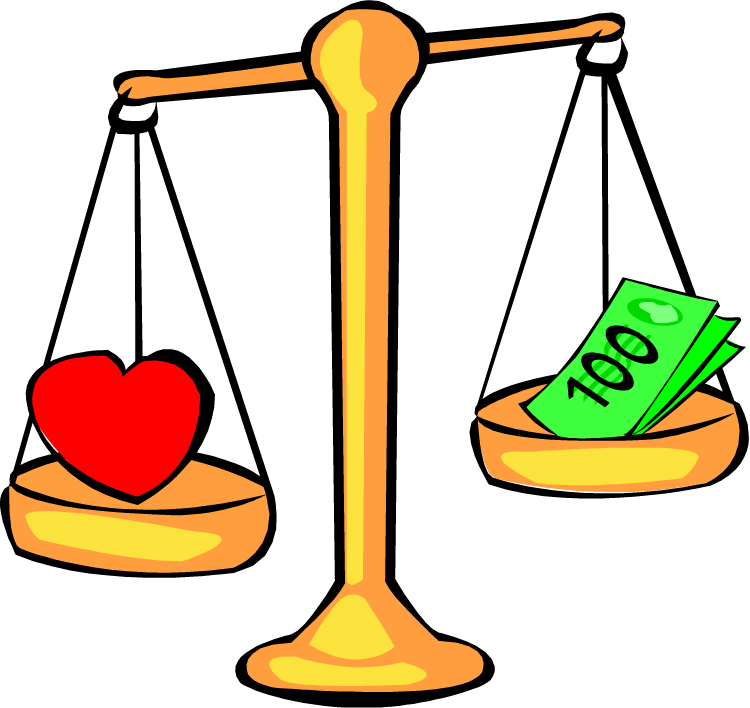 How many people will read the books, never mind pay for other books that are not free, remains unknown. Still, almost 70 people now have access to my books who did not before. That is good news. You could argue that I lost about $400 in royalties, but I suspect that’s not so. Most likely, these readers would not have paid the $3.99 that the books cost when not on sale, so in that sense I lost nothing that I ever really had. It was an experiment, so I’m fine with that. 2. Facebook ads work. Although Bookbub is the current go-to source for advertising e-book promotions, I decided not to apply there. Listings are expensive, starting at $150 for a free book, depending on the category. Instead, I paid Facebook $35 over two days to boost my post. At the end of the second day, almost 4,300 people had seen the ad, and 2% clicked through to find out more. That may not sound like much, but for advertising, it’s a typical response rate. The one thing I would change (if I can figure out how it’s calculated) is my relevance score. At 4/10, each click cost me 76¢. When we boosted the announcement for Some Rise by Sin, the results were similar, but the clicks cost 22¢ apiece, because the Facebook computers considered the targeting “more relevant.” But what made those categories more relevant I have yet to discover. 3. It doesn’t take much to raise Amazon bestseller rankings significantly. At the height of the promotion near the end of the first day, with 55 downloads of Desert Flower and 53 of Kingdom of the Shades, the two books had risen from ranges of 12,400 and 18,600, respectively, to about 3,500 among all free books. Desert Flower hit no. 43 in Kindle eBooks > Romance > Science Fiction; Kingdom peaked at no. 49 on the same list. If I had managed to give away twice as many copies in the same time frame, I probably could have cracked the top ten, albeit in this relatively unpopulated list. Although I don’t control how many people download my books, it’s useful to have a better sense of what those rankings mean. A good advertising plan could raise the profile of my books significantly—at least until the algorithms change. Any benefit is, however, brief. By the morning after the promotion ended, the sales ranks had plunged again, because the books were now competing with the much larger number of paid titles: both novels dropped below 1,000,000, although they remained much higher than they had been before the promotion began. Since then, I have sold no books at all, either print or Kindle. Even borrowings have flattened out. Will I try it again? “Never say never,” as the adage goes. I would need a good reason to go against the grain a second time, and so far the results seem rather mixed. But then, that’s the point of an experiment. When I was seven, my parents took me to see The Snow Maiden, as performed by the London Festival Ballet, now the English National Ballet. I fell in love with ballet, then and forever. 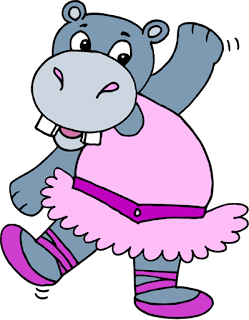 In the years since, I have seen many great dancers: Maya Plisetkaya, Mikhail Baryshnikov, Altynai Assylmuratova, Julio Bocca, Nina Ananiashvili, Ethan Stiefel, Gillian Murphy, Peter Boals. And those are just a few of the live performances; on television and video I have watched an uncounted number of Giselles, Kitris, Juliets, Nikiyas, Medoras, and more. I took class as a child, then for twenty-five years as an adult of dubious competence but sincere dedication; I still dance in my office most days to offset the unhealthful effects of too many hours sitting at my computer. I love Balanchine and Ratmansky and Wheeldon, too, but when push comes to shove, it’s the old story ballets that tug at my heart strings. A couple of decades ago, I created my own ballerina, Alessandra Sinclair—informally known as Sasha—just to explore what meaning those old nineteenth-century classics might have for our modern world. And now I offer her two books, free of charge, for forty-eight hours—to celebrate the seventh anniversary this month of my invaluable writers’ group, the basis of Five Directions Press. Descriptions, excerpts, and links follow. Love plays no part in marriage arrangements on the desert planet of Tarkei. So when Danion, junior priest of the sun goddess, finds himself drawn, in defiance of his oath of celibacy, to a human ballerina encountered by chance, he does his best to resist. The ballerina, tormented by memories of violence that may be real or just the product of an unknown enemy's twisted mind, has no interest in him anyway—or so they think. But Tarkei has an ancient tradition: that two unusually compatible people, whether they believe they belong together or not, can bond at first touch. Once formed, the link lasts until death. Legend calls it “the joining.” Danion calls it a myth. He and his ballerina will soon discover who’s right. Fabric gleamed in the flickering candle flame. Shadows danced on the cave walls. Blush pink ribbons slid through her fingers—soft and smooth. Once, before her mother died, she had stroked a m’retta with fur like this. “What are these?” Entranced, Choli held out her find to the man who sat cross-legged in the corner, who had watched without speaking while she rummaged through his few possessions. Tall and slender, dark-haired, dark-eyed, olive-skinned, austere in his charcoal robe, he looked like the men of her world. But no man of her world would have tolerated her presence, never mind giving her free run of his home. This one sat, still as the rocks at his back, hands folded like a scholar or a priest. Or so they said, the people of the caves. Choli wondered how they knew. Scholars were rare among the Kazrati. In her thirteen years, she had not met a single one. Priests were not so rare, but they were intimidating. Danion, of course, was not Kazrati, although he appeared to be. Sixty-three years have passed since the meeting of Danion and his ballerina in the desert, but the memory of her continues to haunt him. Until one day in a cafeteria barely worth the name, an exchange with a surly waitress ends with him staring at that beloved form. A holographic projection—or Sasha herself, inexplicably restored to life? Tarkei do not believe in miracles, but the evidence points to Sasha’s return. At last, Danion and his wife can be together. Or could, if he had not taken responsibility for guiding a group of young rebels whom he cannot abandon—not once he recognizes the existence of a traitor in their midst. Spirit voices surrounded her, speaking a language she did not understand but vaguely recognized as one she had heard before. White light hurt her eyes, brilliant light that shone through her closed lids, causing pain even though she could not open them. If she had the strength to move, she would have turned her head. Instead, she seemed to be floating in a sea of light, the spirit voices bearing her up. Slowly, the images crystallized. She could not see, but she could hear. The words took shape in her head. She struggled to separate them, to wrest the meaning from them, but at the instant they became clear, sensation left her, and she sank back into darkness. And so it went, for how long she did not know. Wherever she was, time did not exist. She floated from the tunnel of darkness to the sea of light and back, spirit voices rising and falling around her. Sasha Sinclair lay between soft clean sheets, listening to words that she almost understood. Her head ached; her whole body ached, as if someone had taken a bat and broken every bone she had. Her skin felt scorched; the sheets weighed her down, sticking to the curled paper that had once been epidermis. Image no. 20528287, purchased from Clipart.com.